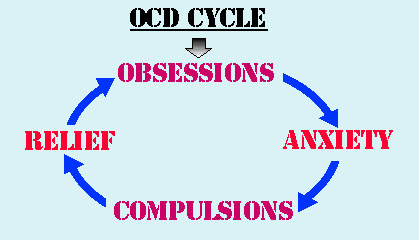 One in 50 adult Americans is afflicted by Obsessive Compulsive Disorder (OCD). It is defined by having ongoing irrational, intrusive, troublesome thoughts or images. Some also have compulsions to perform rituals like locking the door six times in a row before leaving the house. 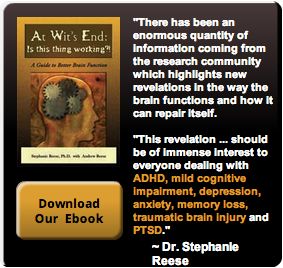 OCD can be an extremely disabling condition as it robs a person of life enjoyment and functionality. These obsessions and compulsions can cause overwhelming anxiety. When people start to get into that loop of compulsions and obsessions, its hard to stop. People with OCD are not "crazy," although they may sometimes feel that way because they are troubled by thoughts and actions that they know are inappropriate. Typically they believe they are the only ones who have irrational, obsessive thoughts, and are therefore often ashamed and afraid to tell anyone or to seek help. It is important to know that having OCD is not a sign of weakness or a lack of willpower in stopping the thoughts and behaviors. It is thought to be an imbalance of neurotransmitters in the brain. Fortunately, OCD is a treatable disease. BrainAdvantage provides several non-drug therapies for fast, effective relief of OCD.